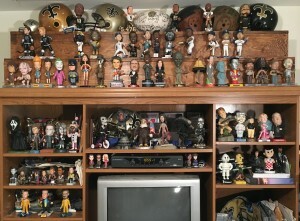 Description: Matthew's collection currently consists of a wide variety of bobbleheads, ranging from fictional film and TV characters, celebrities, historical figures, sports stars, and other miscellaneous categories. 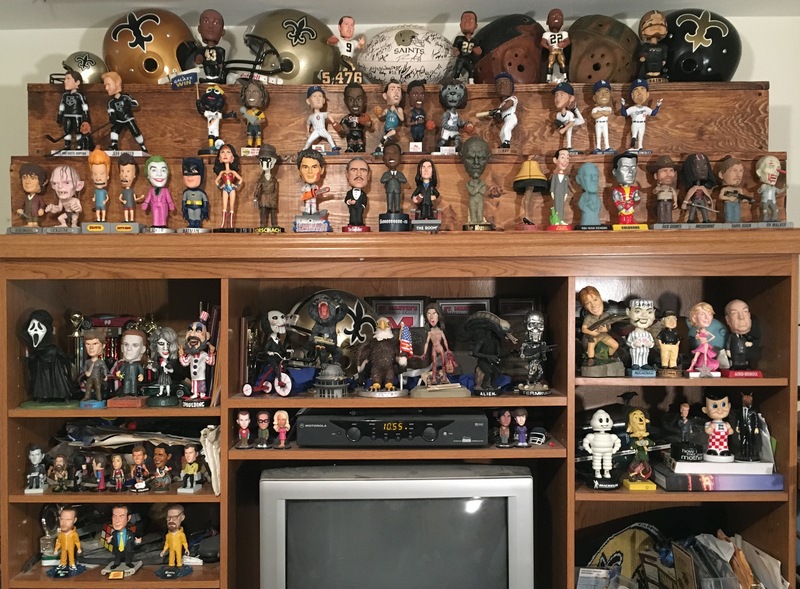 He appreciates all areas of pop culture, so he continuously has his eyes peeled for unique bobbleheads, whether there is a sporting event stadium giveaway or he is visiting an antique shop. 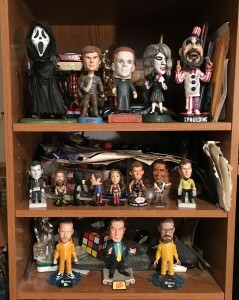 Favorite Bobblehead: Angela from "Sleepaway Camp"
Other Information: Matthew has a special fondness for finding bobbleheads that remind him of movies/sports/memories as a kid. The first bobblehead he got his hands on was a NECA King Kong Head Knocker back in '07. He appreciated its exquisite detail and always liked the King Kong movies. 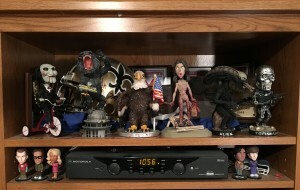 From there, Matthew's urge to collect more bobbleheads took off.